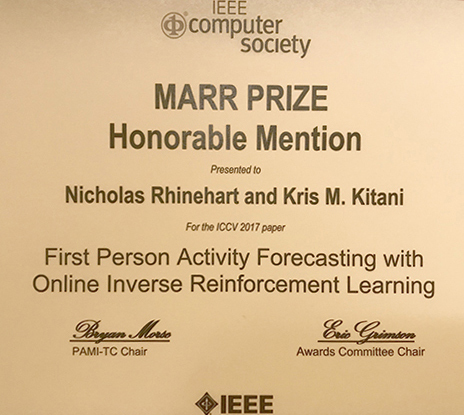 Paper awarded Marr Prize honorable mention at ICCV! Nicholas Rhinehart, Kris M. Kitani. First-Person Forecasting with Online Inverse Reinforcement Learning. International Conference on Computer Vision (ICCV) 2017.